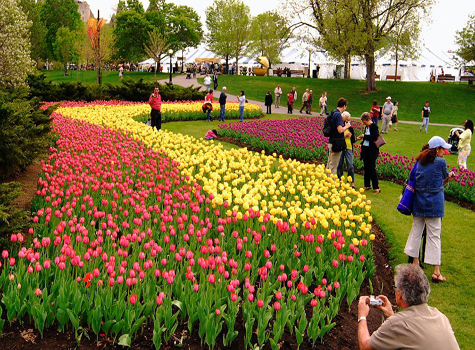 Tulip mania or tulipomania was a period in the Dutch Golden Age during which contract prices for bulbs of the recently introduced tulip reached extraordinarily high levels and then suddenly collapsed. At the peak of tulip mania, in February 1637, some single tulip bulbs sold for more than 10 times the annual income of a skilled craftsman. It is generally considered the first recorded speculative bubble (or economic bubble),although some researchers have noted that the Kipper- und Wipperzeit episode in 1619–22, a Europe-wide chain of debasement of the metal content of coins to fund warfare, featured mania-like similarities to a bubble.The term "tulip mania" is now often used metaphorically to refer to any large economic bubble (when asset prices deviate from intrinsic values).